Time: 0:15 h Distance to Travel: b.d. 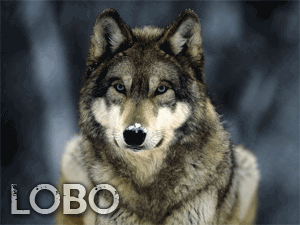 El Lobo is a moving bit cache who roams the wooded ridgelines stalking its prey. He has no room for swag or trackables but contains just the password needed to log the cache. No pen needed. The Lobo is a loner and steers clear of civilization. When you find El Lobo, please log a find indicating you have picked him up. You may move him anywhere within the greater Charlotte area (Mecklenburg County and its surrounding counties) but please place him in wooded areas. He is weary of people. Once you have placed him, please log a MOVE stating you have done so and list the coordinates for where you have placed him. Please do not place the Lobo in an urban area nor should you bury him or cover him in pine needles as a courtesy to your fellow caches. El Lobo has moved again, finally. +/- 80 @ April 30, 2016 19:28. El Lobo has moved. He's now hiding out in Colonel Francis Beatty Park. As soon as I arrived at GZ I had a sneaky feeling where El Lobo would be hiding. I took a peek and sure enough he was up there! Well, I haven't climbed a tree in a while, and luckily this wasn't too hard of a challenge. Thanks for the great hide! I selected this one as my 1000th cache find over all combined geocaching sites. It being the last of the 4 moving caches in the GCGC relay that I had yet to find was another incentive. It was not at all what I had expected to find which is a good thing. Enjoyed the walk and all teh joggers that passed me by on my way to the cache site.